Jamaican Rovman Powell after his century against Ireland. 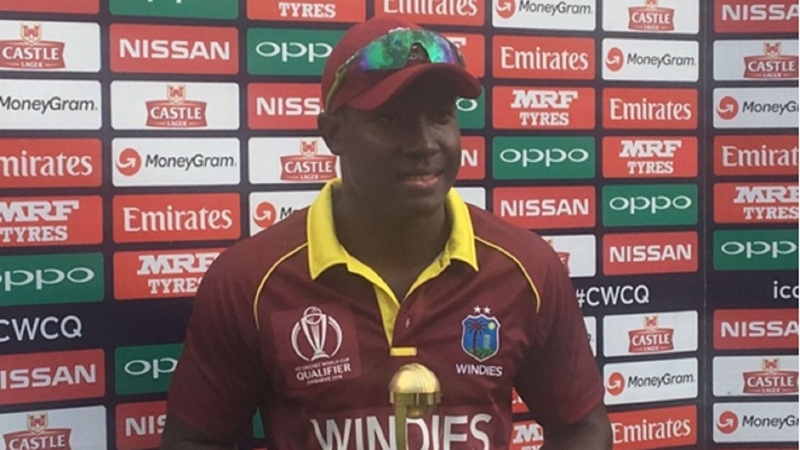 West Indies clinched a place in the Super Six stage of the ICC World Cup Qualifier as Jamaican Rovman Powell smashed a maiden One-Day International (ODI) century, and part of the press box, in an easy 52-run win over Ireland. 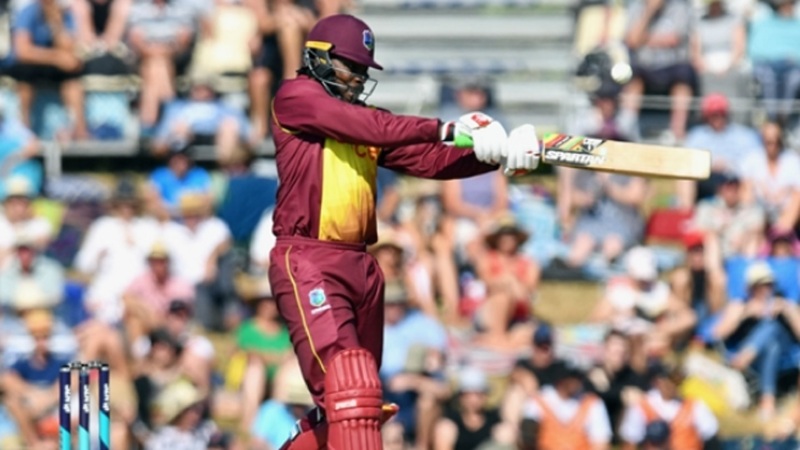 The Windies were reduced to 83 for five in Harare as Evin Lewis (9), Chris Gayle (14), Marlon Samuels (2) and Shai Hope (7) all fell cheaply. 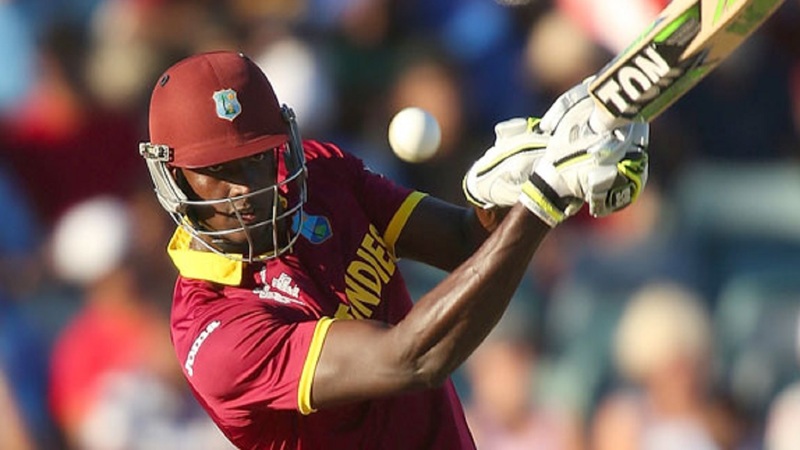 However, Powell led the Windies' recovery as he mounted a stand of 86 with captain Jason Holder (54). And even after Holder's departure Powell continued to excel, scoring 101 off 100 balls as they reached 257 for eight, with one of his seven sixes damaging the press box window. Ireland's reply never really got going. They lost captain William Porterfield for a duck in the second over and were reduced to 96 for four in the 25th over. 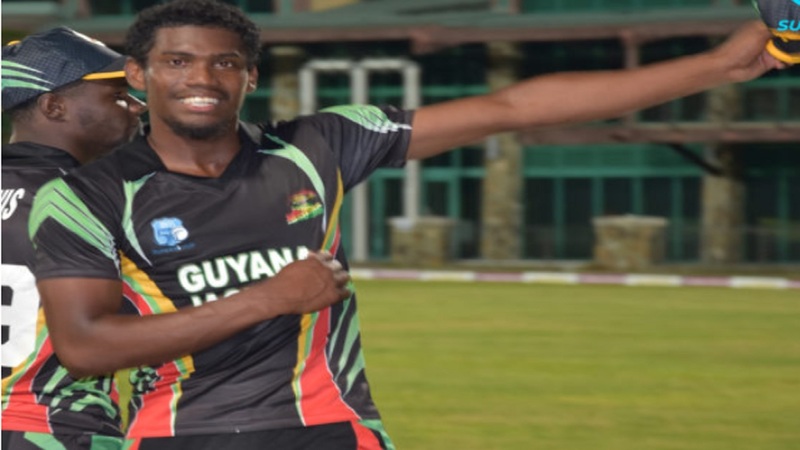 Despite the best efforts of Ed Joyce (63), Niall O'Brien (34) and Kevin O'Brien (38), Ireland could not stem the tide of wickets, Kemar Roach and Kesrick Williams taking four wickets apiece to seal the Windies' progression. Ireland will look to join them in the Super Six by beating United Arab Emirates in their final Group A clash.